Finding the appropriate present for father's day is not always the easiest task to accomplish. Some men seem to have everything, while others seem to not be interested by anything. Sometimes daddy is hype and trendy with an urban look, sometimes papa is distinguished and refined, and would never sacrifice his gentleman's discretion for a recent fashion trend. This is why we decided to find 5 examples of original shopping ideas amongst renowned names. For each brand, we give an alternative hype vs classic. Urban shopping at Bang & Olufsen's. Whatever his tastes, chances are, he listens to music. So why not to take a trip to Bang & Olufsen's? With a diversified range of audio and video devices, the brand excels in design and trendy-looking devices. Pimp daddy's ride with car accessories designed for brands such as Aston Martin and BMW. Find out more on the B&O Facebook page. 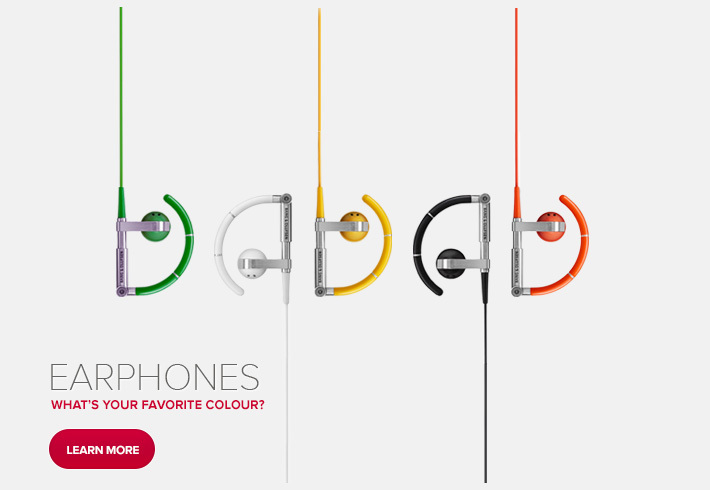 Below, we have selected two types of earphones from the collection. From vibrant to colours to a more classical frame, depending on what type of gentleman is being considered. Benvenuto* to the world of a pillar of Italian fashion. Salvatore Ferragamo offers a large choice of menwear. From traditional shoes to more avant-garde trends, do not miss their famously decorated ties. Here is a choice of shoes between the sobre wing-tip derby and the remarkable wing-tip spectator. Although the selected design, James, is targetted at those who want to stand out of the crowd, the dark version is remains rather classical. Avoid the green rims, especially if pop won't surrender his dark suit-and-tie at any price. Tradition and values at the Louis Vuitton boutique. If you choose the fluorescent glasses in the selection above, you might want to accompany your present with a toiletry pouch in the same colour range. However, if he would rather play on the safe side (fashion-wise), it's best to opt for the monogram tie case for business travels. Cartier welcomes you with its past and present collections. On the menu, we have a steel and gold version of the legendary Tank watch versus a white gold ring from the love collection. The above selection is recommended by Cheval Residences, your luxury home in London. Follow Cheval Residences on twitter for more lifestyle articles. So, what option will you choose from this year for Father's day?